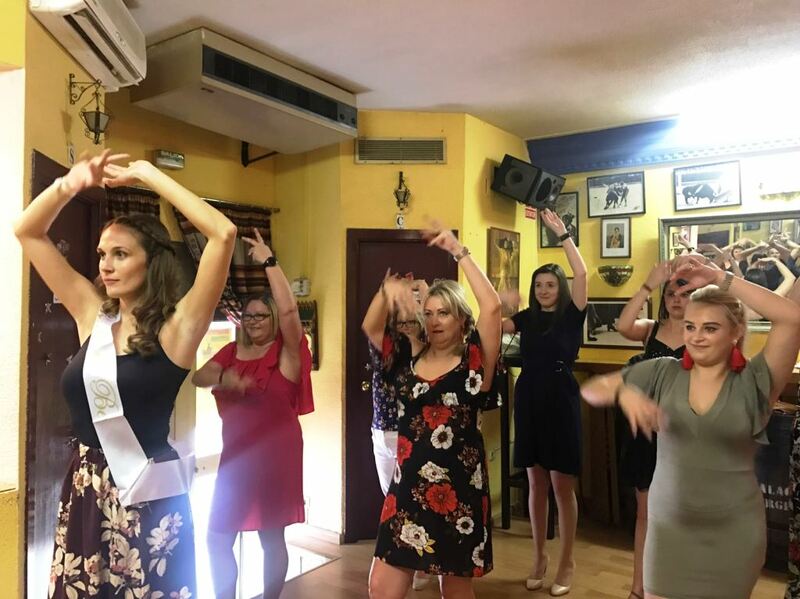 Learn to dance Flamenco in Malaga! Try out this traditional and expressive Spanish dance in Andalusia! 2 hours of Flamenco Private Lesson. Flamenco dance is fiery, exciting, loud, passionate and sensual. It is also incredibly atmospheric - even in a class setting. Flamenco dancing uses sweeping arm movements, clapping and rhythmic feet stomping and is a highly expressive Spanish dance form. Are you Ready for this local experience? You will have fun with your family and friends learning this typical dancing! Learn and develop the techniques of flamenco dance with Salva, the teacher, who specialises in these famous dances from the south of Spain! 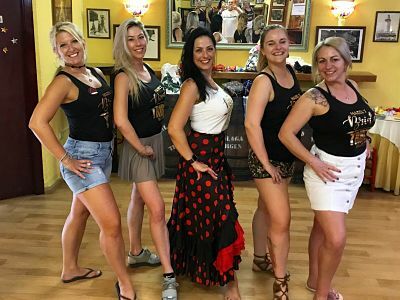 Depending of your level, the teacher will adapt the Flamenco dancing lesson, using sweeping arm movements, clapping and rhythmic feet stomping and you will feel the highly expressive Spanish dance form on your own! In this Flamenco lesson you will pick up the essential foot/heel rhythms, posture, strength and body control, as well as learning hand movements and expression. The price for 1h is 18€ per person. Flamenco Salva will notify you if there is no availability at the time that you selected and propose a different one. If you don't feel comfortable with any of the proposed times, you can cancel your booking at that moment indicating so to Flamenco Salva and obtain a full refund. "The private lesson was fenomenal!! The instructor was kind, funny, and very knowledgeable. I would definitely recommend it to everyone." "I cannot thank Salva enough for such an amazing experience. 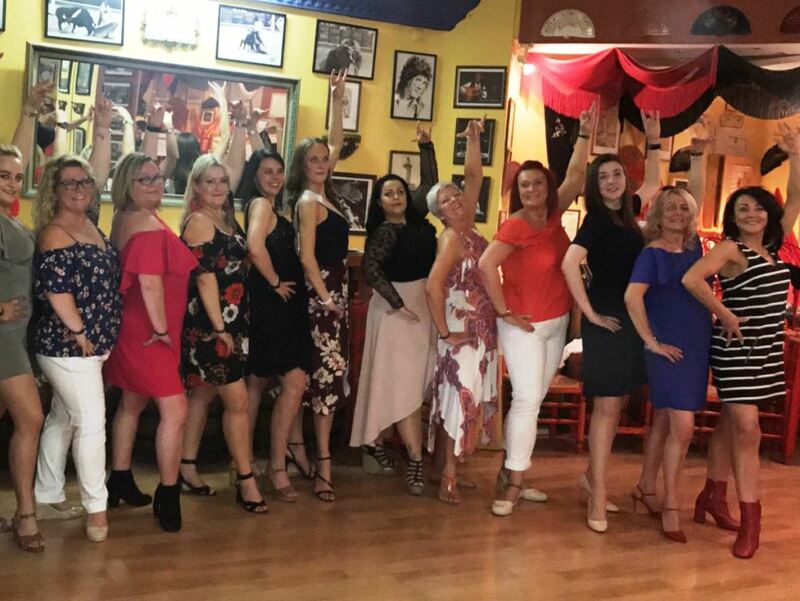 I booked this for a hen party and it was so much more than i thought I’d signed us up for. Salva’s passion for dance is infectious and we loved learning through the session! Thank you Salva! If we ever come back, we’ll certainly be booking again! " "We definitely recommend booking this course! We really enjoyed the afternoon! We were a group of 14 guys and one girls and Salva did a really good job trying to get us to dance a little bit. We recommend booking for 1,5 to 2 hours to really get something done. Thank you very much!" "We loved it! Was a lot of fun and the hen really enjoyed her surprise too. The only thing was 2 hours was a little bit long for us (it was quite the work out, haha) so we asked to shorten the lesson to an hour, so we could go for dinner earlier afterwards. Many thanks! "